About Defend Your Mortgage, LLC. We know your story. It begins with an application for a loan modification, phony trial payments, no answers from lender representatives, repeated demands for documents you already mailed, notices of intention to foreclose and soon, without question, you will be asked to reapply one more time. As you patiently wait for a loan modification, promises never kept, and your past due balance is spirals out of control, the professional mortgage loan investigators at Defend Your Mortgage are concerned with a completely different application process. The application you made when you applied for the loan your lender is now refusing to modify! As you listen to lender representatives telling you that your missing loan documents, the fraud examination specialists at Defend Your Mortgage know full well there exist a direct link between a lender who stalls the loan modification process, leading you directly to foreclosure and the potential that your mortgage may be In violation of state and federal lending laws. Predatory lending! As you comply with demands from lender representatives to mail the same documents one more time, Defend Your Mortgage is asking its clients, are you a victim? When your 3 month trial payment period is over and your lender still has no answers, Defend Your Mortgage is preparing investigation reports detailing violations found in our clients loan. The reports are to prove the real reason your lender is leading you to foreclosure based there fears of being exposed for predatory lending. Our clients clearly understand that if you are a victim, you do not owe the lender. The lender owes you!!!!!! As your trial payment period comes to an end and your lender tells you to keep making payments with no modification in sight, the professionals at Defend Your Mortgage are introducing their clients to new jersey fraud litigation attorney's who are focused with saving their clients home from foreclosure in a court of law. 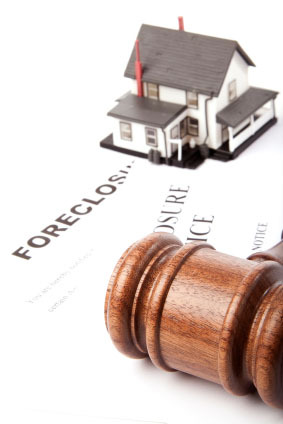 As your lender sends you a notice of intention to foreclose, the Defend Your Mortgage client has retained their attorney and are on their way to court to save their home from foreclosure and to get back on track with a loan they can afford! As the sheriff shows up at the front door of your home and serves you foreclosure, the Defend Your Mortgage clients are fully prepared for their day in court. For our clients, there is an alternative to losing your home. Defend Your Mortgage! ARE YOU A VICTIM? TAKE THE FREE MORTGAGE FRAUD TEST NOW!